Each child on the spectrum is unique, equipped with their own special challenges and talents. Their friendships can grow out of shared interests and goals, similar (or complementary) temperaments, or simply belonging to the same community. 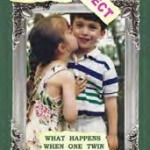 As the mother of twins—one with autism and one neurotypical—I struggled to find shareable activities for Samantha and Matt, especially when they were toddlers in the same preschool. For early birthday parties, there were hands-on activities, such as arts and crafts at Little Shop of Plaster that both kids could enjoy. We avoided clowns, puppet and magic shows, and anything else that demanded language processing and sitting still. Later, joint parties evolved into physical activities like swimming or bowling with bumpers. On vacation, our family went to the beach where Samantha could swim all day; as teens, the twins took surfing lessons together while their father took photos. In the beginning, it was difficult for Samantha and her dad to enjoy common ground. Unlike her twin brother, Samantha couldn’t bond over sports, adventure movies, or collecting soldiers (or any kind of doll). How could she compete with her more verbal twin brother for her father’s attention? With trial and error, Howard eventually discovered that Samantha appreciated the simple slapstick humor of the Three Stooges. Our family watched every Three Stooges tape multiple times; when Samantha cackled with glee and imitated Curly, we all had to laugh. At age eight, my husband started taking her for chocolate chip pancakes at the local diner for Sunday brunch. When a music teacher from school told us she had perfect pitch and enjoyed singing, Howard took her to Broadway musicals, inspiring a lifelong love of musical theater. My husband also discovered that our daughter had an ear for language, and he began teaching her rudimentary French over her Sunday pancakes. Samantha was delighted to share this structured form of conversation, excelling and basking in her Dad’s approval. Once my daughter started school, her playdates were carefully structured with concrete activities. Savvy and high-energy mother participation was integral to success, but offered no guarantees. We autism moms worked together as organizers, interpreters, cheerleaders, and soothers during Lego building, baking experiments, lanyard making, puzzle times, playground excursions, and Disney movies. Although these playdates often resembled the parallel play of much younger neurotypical kids, we mothers were happy for ANY connection, or even the desire to make one. We also worked hard to role model friendly conversation skills such as taking turns, listening politely without interrupting, and asking appropriate questions. In restaurants, we insisted on practicing good manners with the hope that one day—after a continual and careful breakdown of rules — our kids with ASD could navigate restaurants with their friends, independently. It took years, before Samantha learned to politely order soda without ice and not freak out when the waiter made a mistake and brought her drink with ice. My less verbal daughter, who didn’t have a mean bone in her body, stared at me like a deer in the headlights. “Tell him you don’t know Joey,” I suggested tactfully. Still looking at me, she repeated my words robotically. That afternoon, the other mom and I constantly redirected our kids to look at each other, talk to each other, and even suggested simple topics when the silence became too uncomfortable. When Samantha was 10, I took her for singing lessons with Phil Campanella, who loved working with talented special needs kids. Phil knew how to tease, coax, and cajole my daughter into singing scales, learning lyrics and practicing songs every night. Not only was Phil charming, but he also thought outside the box. When Samantha learned to sing “Happy Talk” from South Pacific, he gave her male and female frog puppets, so she could make them sing to each other and understand how the song was a conversation between a man and a woman. Thanks to Phil, Samantha appreciated the meaning of the lyrics, instead of just memorizing the words. Samantha’s love of singing and musical theater began with Phil’s lessons and attending Broadway shows with her Dad. At the beginning of high school, she auditioned for a role in her school play. She didn’t get a part, but found her first BFF, David, who worked with her backstage, managing props and scene design. Samantha and David were soon talking on the phone, planning independent excursions to the movies, karaoke, and shooting pool (believe it or not!). While David’s mother and I were friendly, we did not have to participate in their conversations or social plans. However, one night Howard and I took the best friends out to dinner, sat back, and listened to them gossip — to our delight! On another occasion over dinner, Howard and I introduced Samantha to our friends’ son with Asperger’s. Within five minutes, they were asking permission to leave dinner and go to the movies together. Since that night, they have been dating over two years, supporting each other through life’s challenges and celebrating their successes. Samantha often sings to her boyfriend, especially when practicing for a performance. Although her boyfriend dislikes noisy crowded places, he hasn’t missed one of my daughter’s performances yet. Over time, Samantha has created a busy social life, balancing quality quiet time alone with her boyfriend and participation in her lively theater community. Last summer, she also reprised her co-starring role in the award winning short film Keep the Change; the full-length version is scheduled for release in 2017. In the movie, Samantha plays a young woman on the spectrum making a romantic connection with a young man who has his own disabilities. What talents lie within your child? It’s equally as important to appreciate your child’s special strengths as it is to identify and work with their challenges. Don’t let your child’s disabilities or negative labels by “experts” discourage you from seeing and cultivating their potential. 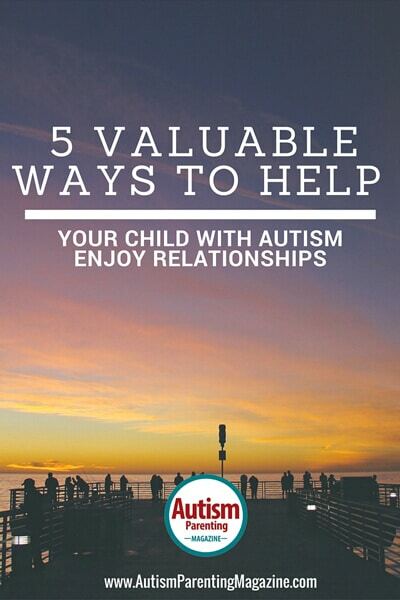 As autism parents, let’s have the courage and patience to persevere so our children grow up understanding and experiencing the power of loving connections. Like all young adults, kids with ASD must learn to spread their wings and find their own flock.